Playtech and Evolution Gaming are the two largest companies in the world of live casino games. From dedicated studios in various parts of the world, they facilitate live dealer versions of blackjack, roulette and other casino games for a large number of operators and their clients. What do these two companies have on offer? What’s their background, and which special features set them apart? A head-to-head comparison of the two biggest players in the industry. Playtech is the oldest of the two. It was founded by Israeli entrepreneur Teddy Sagi and other casino industry experts in 1999, in the Estonian city of Tartu. Online casinos had first started to appear in the mid-nineties and Playtech grew with this promising new industry, introducing their own casino software which could be use by different operators. In 2003, before Evolution Gaming was even created, Playtech was the first company to introduce live dealer casino games. At first just blackjack and roulette for a few hours per day, later followed by several other games and a much better coverage. Since establishing their casino and live dealer branches, Playtech has also added software for poker, bingo and sports betting to their ever-growing portfolio. Through the years, the gambling giant has acquired many other gaming companies, including PokerStrategy.com in 2013 and their rival Best Gaming Technology in 2016. Since 2006, Playtech is traded at the London Stock Exchange. The company has its headquarters on the Isle of Men. They employ over 5,000 workers in fourteen different countries, including the UK, Germany and Russia. Sweden-based Evolution Gaming was established by Fredrik Österberg and Jens Von Bahr in 2006. The company immediately began to focus exclusively on the live casino game market, something they do to this day. In 2007, they signed their first contracts with operators and since then haven’t looked back. The company started with a studio in the Latvian capital Riga, which was quadrupled in size in 2009, and later traded in for a larger base of operation. In the years that followed, they’ve opened up additional live studios in the rest of Europe. Today, around 3,500 employees work for the company. One thing Evolution Gaming is well-known for is their ability to innovate, and also the speed and smoothness of their games stand out. 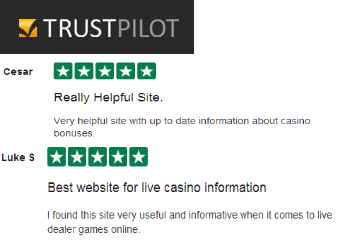 Indeed the quality of Evolution’s live dealer software is undisputed, as they were named Live Casino Supplier of the Year in the EGR (eGaming Review) B2B Awards eight years in a row since the award’s inception in 2010. The exclusive focus on live casino games is one of the major things which sets Evolution Gaming apart from Playtech. At Playtech, live casino gaming covers only a portion of their portfolio, which boasts over 500 titles and also includes regular casino games, bingo, poker and sports betting software. Evolution Gaming on the other hand is purely a live casino software provider which gives it the advantage of focusing more in that niche and innovate with different games and variations of games. Because of their other activities, Playtech is much the larger company of the two. Their revenue over 2016 was more than €708 million, while Evolution Gaming reached €115 million in the same year. A major advantage Playtech holds over Evolution Gaming in terms of live casino gaming, is their presence in the Asian market, with live games broadcasting from their studio in the Philippines. Playtech services some big brand operators, including Betfair, PaddyPower, Bet365 and William Hill. Among the bigger names in Evolution Gaming’s clientele are Genting, Unibet, BetVictor and also William Hill. Evolution however, also works for many smaller, independent operators. Evolution Gaming started with and still has a large studio in the Latvian capital Riga, which houses over 100 tables. Over time, they’ve added live studios in Spain, Malta, Belgium, Romania and Georgia. The studios in Latvia – still their biggest – and Malta are Evolution Gaming’s main bases of operations. From here they send out live broadcasts to a variety of customers and players. In Malta, there are more localised tables, with native speakers as dealers and adaptable environments to suit specific countries. 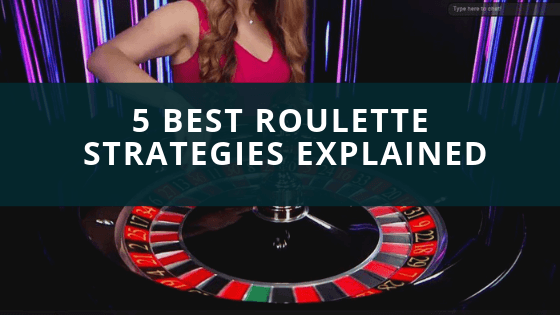 This allows Evolution to offer country-specific games, such as different versions of the game roulette for the Italian, Swedish or English market. In February 2017, Playtech opened an 8,500 square meter capacity studio in Riga, perhaps not coincidentally the same town where Evolution has their big studio. Interestingly enough, both companies claim that their studio in Latvia is the largest of its kind in the world. Besides Riga, Playtech has studios in Spain, Belgium, the Philippines and Romania. Here again it becomes apparent that the companies share a common ‘hunting ground’, which in part has to do with both of them seizing the opportunity to expand whenever countries introduce favourable new regulations in the field of gambling. In this regard, the arrival of even more studios in the future by the two companies would not come as a surprise. Both Playtech and Evolution Gaming offer eight different live casino games (not including variations on the same game), although not exactly the same ones. In Playtech’s live casino catalogue, we find classic games like blackjack, baccarat, casino hold’em and roulette as well as more exotic and modern offerings. These include Unlimited Blackjack and Double Screen Roulette. They offer Sic Bo, a game specifically popular in Asia. Additionally, Playtech offers Dragon Tiger, Hi Lo and 3 Card Brag. Like Evolution Gaming, they run localised gaming tables featuring native speakers in languages such as Italian, Spanish and Chinese. Evolution Gaming also offers all the well-known games like live roulette, blackjack, baccarat and Caribbean stud poker. They also offer poker-based live casino games like games like three card poker, casino hold’em and even the Evolution-exclusive Ultimate Texas Hold’em. Something completely different is the game Live Dream Catcher, which launched in May 2017. This is a large, vertically mounted money wheel of the sort that can also be found in brick-and-mortar casino’s, and is aimed at the casual casino visitor. Both companies offer their games on all popular devices, including phones and tablets. Both of them also give operators the opportunity to brand games and their environments, making them feel unique to that particular casino. When it comes to special features, Evolution is the clear winner of the two. They are continually adding new innovations, which makes it no surprise that their software has been awarded so many times. One special feature offered by Evolution is the Multi-Game play, allowing players to enjoy up to four different live casino games at a time. Another one that was launched in 2016 is the Baccarat Control Squeeze. For this, cards are dealt face down onto a glass plate, and it is the player who can slowly reveal the cards himself, rather than the dealer. This is a typical innovation aimed at recreating a real casino experience. For the operators they work with, Evolution offers an interesting feature called Direct Game Launch. This allows the casinos to market games beyond the live lobby, using advertising links that instantly open live games when clicked upon. Tailored to the demands of high stakes players, Evolution offers the Red Room and Platinum VIP tables. These mostly include blackjack and roulette games in a particularly elegant setting, in which hundreds or thousands of euros can be wagered in a single turn. Playtech has a similar high roller offering, in their case named the Ruby Room. Both companies have stepped into the new market of land-based live casino’s, where a studio broadcasting online games is set up within an existing brick-and-mortar casino. This gives casinos more opportunities to connect with clients. It’s also a smart solution for online operators in jurisdictions where having a land-based location within the territory is mandatory, such as Belgium and Spain. The most impressive example of live casino meeting virtual is Evolution Gaming’s Dual Play Roulette, where casino players and online customers can ‘sit down’ at the same table.